There are so many decisions to make when you decide to buy your first car, and many first-time buyers make the mistake of either buying a car beyond their budgetary means or buying a car because it's “the cheapest” that is not the safest or most practical vehicle for them. 1. Renault Sandero - The stylish Renault Sandero has everything that a first-time car owner would want, from power steering to hill start assist, electronic stability program and an emergency brake assist. Make your first car, a safe car with Renault’s superior safety methods. 2. Toyota Etios - What makes the Toyota Etios a good buy is the fact that it is extremely practical. It is known as having one of the lowest maintenance costs and is a simple car to drive, without the bells and whistles which accompany many other cars on the market. 3. 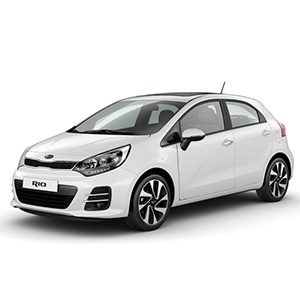 Kia Rio -The Kia Rio is both practical and very serious about your safety. Throughout the years, the Rio models have just improved into one of the most stylish and protective vehicles on the market. Safety measures include airbags and ABS anti-lock braking and EBD. 4. Volkswagen Polo Vivo - One of the most popular cars on this list is the Polo Vivo. Everyone knows someone who owns one and can give you a host of advice on why this would be a good buy for you. The reasoning why it is one of the best-selling passenger vehicles in South Africa is due to being reliable, safe and flexible. 5. Ford Figo – The Ford Figo brings together trendy styling, top-class safety and new technology. Boasting the SYNC voice-activated system on top-spec Titanium models, you can now do more with a Ford Figo than you could before, and it helps to make cruising in your vehicle so much easier. Get these cars and many other budget buys on AutoTrader. AutoTrader South Africa has been the leading media market space for the past 24 years for buying and selling vehicles. Whether you are looking to buy a brand new car or are on the market for a pre-loved model, AutoTrader has over 65 000 cars to choose from and is guaranteed to suit your tastes and needs. Find your perfect car on AutoTrader.